Peer Reviewed Journals research papers discuss the academic publications that present articles of new research, review articles, and book reviews. 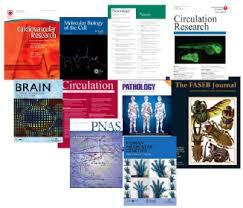 Peer reviewed journals are academic publications that present articles of new research, review articles, and book reviews. Peer reviewed journals, also called scholarly journals or academic journals, are forums where researchers can present findings to the larger academic community. These findings can be based on either qualitative or quantitative data. Academic journals accept two types of submissions, either solicited, in which a researcher has been asked to submit work, or unsolicited, where an academic will submit an article without specific asking. In either case, the article in question is then sent for peer review. This means that one or more experts in the field will evaluate the article in order to demonstrate that the article is of sufficient quality and original research. These referees are supposed to be objective, and often provide feedback for improvement to the author and editor. There is a hierarchy to peer reviewed journals in academia, with several dominant journals receiving the largest number of submissions. Many scientific peer reviewed journals are seeking articles that have “impact” on the community. This tradition is less important in the humanities. Large universities underwrite many peer-reviewed journals. With the advent of the Internet, many journals are accessible through subscription services, available through a university library. However, some charge that the Internet has led to a rise in junk journals with lower publication standards. What is Academic Writing? -Academic Writing can be research papers, theses, article reviews and scholarly writing. Scholarly Articles - Scholarly Articles are written research papers written by experts in a specific field that collegiate level professors usually require students to use the articles as research. Quantitative Article Review - Quantitative Article Reviews at the undergraduate and graduate level. Empirical Article - An empirical article is one that relies on scientific data derived from observation and/or experimentation. Evaluating a Psychological Test - The test you evaluate must be a published psychological test that is listed in either Mental Measurements Yearbook, a peer-reviewed or refereed journal article. Literature Review - Paper Masters custom writes literature reviews from peer reviewed journal articles for graduate, masters and undergraduate level students. Essential Process of Scientific Inquiry - Essential Process of Scientific Inquiry in a research paper includes many steps when analying data. Journal of Educational Policy - Journal of Educational Policy research papers look into the policies set forth by school districts or government entities ranging from the local to the federal level. Paper Masters writes custom research papers on Peer Reviewed Journals and discuss the academic publications that present articles of new research, review articles, and book reviews.